Barbara Harris Whitfield was born with a curvature in her lumbar spine called “scoliosis.” Beginning in 1973, she was hospitalized four times in two years. Finally, she I underwent surgery and awoke after the five-and-a-half-hour operation in a Stryker-frame circle bed. Two days after surgery, complications set in and she died. After her NDE, Barbara went on to publish many articles and several books. She worked as a researcher at the University of Connecticut Medical School under the guidance of psychiatry professor Bruce Greyson, and taught at Rutger’s University’s Institute for Alcohol and Drug Studies School for 12 years. 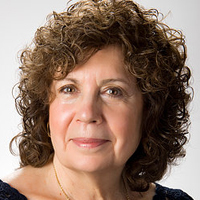 Barbara is also a past president and board member of the Kundalini Research Network. Barbara has been a guest on major television shows, including Larry King Live, the Today Show, Man Alive, Donahue, Unsolved Mysteries, PM Magazine, Good Morning America, Oprah, Joan Rivers, Sonya Freeman, CNN Medical News and Alabama Public Television. Along with her husband, best-selling author Charles Whitfield, Barbara is a workshop presenter and therapist in private practice in Atlanta, Georgia. 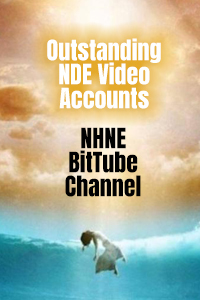 • Member of NHNE’s NDE network. Barbara’s profile page is located here. 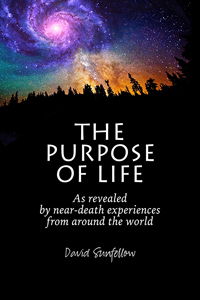 In this groundbreaking book on the meaning of death, Barbara Harris Whitfield shares with you her near-death experiences and the stories of individuals who, assisted by her loving help, left this life with dignity. These accounts will inspire you, allow you to accept death more easily, and reveal the connection to the Spirit that embraces and guides us all as we die. Whitfield demonstrates how it is possible for terminal patients to be fully present — even in their deepest pain — so that they can spread kind­ness, compassion and forgiveness to their loved ones. 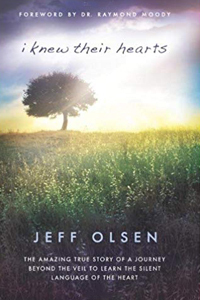 Whether you fear death because it symbolizes the unknown, marvel at its awesome mystery, or grieve for a loved one it has claimed, this book will answer your questions about what happens when we die. The following is a three-part report. 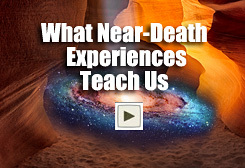 The first part consists of two videos in which Barbara Harris Whitfield, therapist, author and near-death experiencer, tells her NDE story and the changes she experienced in her life while discovering the Natural Soul, the True Self. 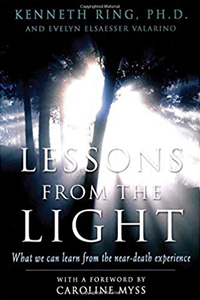 This talk was filmed at The Fellowship of the Inner Light in Virginia Beach, Virginia. Her story is included in her new book, The Natural Soul. 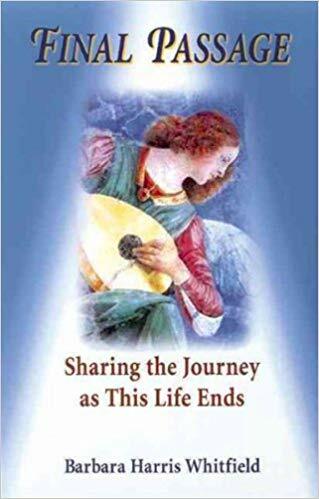 The second part of this report is an excerpt from Barbara’s book, which also describes her NDE. 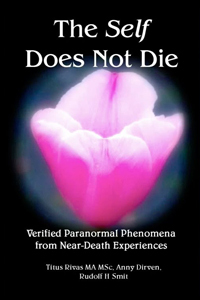 And the third and final part of this report is a review of Barbara’s new book, written by NDE researcher Bruce Greyson. This comes after Chapter One of Barbara’s book. I was born with a deformity, a curvature in my lumbar spine called “scoliosis.” It never bothered me until 1973 when it suddenly became the focus of my life. I was hospitalized four times in the next two years, each time for two weeks, with traction and injections of Demerol to help alleviate the pain. Looking back on it now, I believe, like many other NDErs, that my back pain was a metaphor for my life, which had gotten off track. People in white came rushing in. It was a dramatic scene, just like those you see in hospital dramas on television. I had no idea what was going on because I hadn’t become a respiratory therapist yet. It seemed like everybody was pushing carts and machinery, throwing things back and forth over me. They hooked me up to all kinds of machinery, tubes, monitors and bags. Overwhelmed emotionally, I lost consciousness and later that night woke up in the hall outside my room. I floated back into the room and saw my body. I felt peaceful, more peaceful than I had ever been in this lifetime. Then I went into a tunnel where I was greeted and held by my grandmother who had been dead for 14 years. Before this I had never once thought about her surviving her death. I didn’t believe in that. But now I knew I was with her. Her love enveloped me and together we relived all our memories of each other. I could see and feel all this through her eyes and her feelings of each moment too. And I know she experienced how her actions and her love had comforted me in my childhood. When God holds us in our life reviews and we merge into One, we remember this feeling as being limitless. God is limitless. God’s capacity to love is never-ending. God’s love for us never changes, no matter how we are. God doesn’t judge us either. During our life review, we judge ourselves by feeling the love we have created in other’s lives. We also feel the pain we have caused in other’s lives. This may be a kind of Cosmic Equalizer. I did not see an old man with a white beard who sits in judgment of us. I only felt limitless divine love. My mother had been dependent on prescription drugs, angry and abusive, and my father wasn’t home much of the time and did little to intervene. I saw all this again, but I did not see it in little bits and pieces, the way I had remembered it as an adult. I saw and experienced it just as I had lived it at the time it first happened. Not only was I me, I was also my mother, my dad, and my brother. We were all one. Just as I had felt everything my grandmother had felt, I now felt my mother’s pain and neglect from her childhood. She wasn’t trying to be mean. She didn’t know how to be loving or kind. She didn’t know how to love. She didn’t understand what life is really all about. And she was still angry from her own childhood, angry because they were poor and because her father was sick almost every day until he died when she was eleven. And then she was angry because he had left her. She didn’t know what to do with her anger so she gave it to my brother and me. Her anger boiled up all the time and then she physically abused us or she made us listen to all her resentments. Her list went back to her early childhood. Everyone had hurt her. I don’t think that she, through her numbness and drugged state, understood how she was doing the same thing to us. We continued watching my mother in pain, always seeing doctors and always receiving prescription pain killers, sleeping pills and tranquilizers. My only feeling during this time was loneliness. I saw myself down on my knees by the side of my bed, praying for a doctor to help my mother. I saw how I had given up “myself” in order to survive. I forgot that I was a child. I became my mother’s mother. I suddenly knew that my mother had had the same thing happen to her in her childhood. She took care of her father, and as a child she gave herself up to take care of him. As children, she and I both became anything and everything others needed. As my life review continued, I also saw my mother’s Soul, how painful her life was, how lost she was. And I saw my father and how he put blinders on himself to avoid his grief over my mother’s pain and to survive. In my life review, I saw that they were good people caught in helplessness. I saw their beauty, their humanity and their needs that had gone unattended to in their own childhoods. I loved them and understood them. We may have been trapped, but we were still Souls connected in our dance of life by an Energy source that had created us. This was when I first realized that we do not end at our skin. We are all in this big churning mass of consciousness. We are each a part of this consciousness we call God. And we are not just human. We are Spirit. We were Spirit before we came into this lifetime. We are all struggling Spirits now, trying to get “being human” right. And when we leave here, we will be pure Spirit again. As my life unfolded, I witnessed how severely I had treated myself because that was the behavior shown and taught to me as a child. I realized that the only big mistake I had made in my life was that I had never learned to love myself. And then I was back here, in this reality. I came home after a month. I weighed eighty-three pounds and the body cast weighed thirty pounds. I insisted on seeing a psychiatrist, hoping he would understand what I had experienced. The doctor I saw didn’t understand. 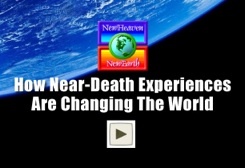 No one understood NDEs back then, so I realized that I couldn’t talk about it. I spent six months in the body cast, thinking about my NDE but not talking about it. Once I was out of the cast and went through some physical therapy to regain my strength, I decided to put the NDE away and follow my heart. First, I volunteered to work in the emergency room of the hospital where I had been a patient. I was excited that first morning. I put on my volunteer uniform, wishing my pounding headache would subside. My first few hours standing in the corridor of the emergency room, doing what little I was asked to do, was agonizing because of this headache. Then an old woman was brought in on a gurney from an ambulance. She was shivering. I knew she was dying but I didn’t know how I knew. A nurse asked me to go over to the warmer and get a few blankets for her. She pointed to what looked like a refrigerator and turned out to be a warmer filled with blankets. I took two over to the shivering woman and spread them over her, one at a time, using my hands to smooth them. Then, to my surprise, something strange started to happen. I felt my headache moving down through my shoulders, draining into my hands and out of my palms, only the sensation wasn’t one of pain anymore. It was more like a tingling. I looked at the old woman and she was smiling right into my eyes. She said, “Oh, my dear, I feel a little better.” I took her hand in mine and sat down next to her, just content to hold her hand. A few minutes later, she said, “The pain medication is working. I’m out of pain and not so afraid anymore.” (My headache was gone too). I sat there for the longest time. Occasionally a nurse or the emergency room doctor walked by and they smiled but they didn’t ask me to do any more until much later when the woman was taken to a room. My personal life, however, was at the opposite end of the spectrum. My husband, my friends and most family members were caught up in their own games. No one seemed to be communicating honestly. It seemed that what was shown to me in my life review now made me recognize how manipulative our relationships were. We never were able to honestly talk about what we wanted or needed from one another. The most painful part for me was watching the disrespect of each others feelings. I cannot deny that I, too, had once been a part of it, part of the denial and numbness. We used materialism as a way to substitute for authentic living. But now I was different. It wasn’t their fault I had changed. The only place I felt real besides the hospital was on a college campus. I realized that I needed to go back to school in order to qualify for some type of health care career. Finally, I became a researcher and could start looking for the answers that I so longed to find. Because I was undertaking my research at a university medical school, all kinds of new knowledge became available to me. Now at last I could frame and reframe not only the hundreds of experiences I was studying, but also my own. Now, 35 years later, with all that I have learned: I have learned that the place I went to will always be there but what I yearn for here — is who I was in that place — my Natural Soul — without all the baggage I had accumulated in this life time. To be free gain — here and now. And that is what this book is about. 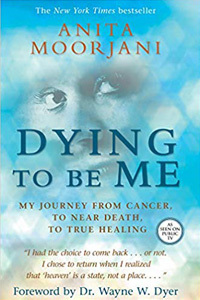 This review is reprinted with permission from its original publication in the winter 2010 issue of the Journal of Near-Death Studies, volume 28, number 2. Copyright 2010: International Association for Near-Death Studies. 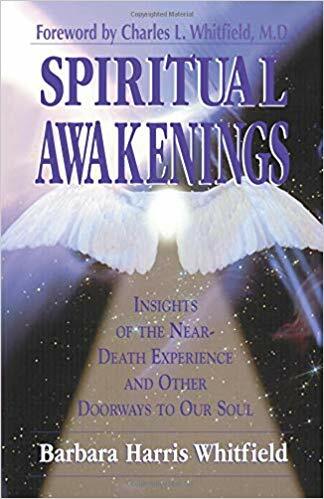 Barbara Harris Whitfield’s post-operative near-death experience (NDE) in 1975 transformed her from a materially-oriented housewife and mother into a spiritual crusader (Whitfield’s NDE is included below). She went back to college to become a healthcare professional, studied NDE aftereffects with me in the 1980s, became the first woman elected to the IANDS Board of Directors, co-founded one of the longest-running Friends of IANDS support groups, embraced the “child within” model of spiritual development and applied it to NDErs, taught college courses in psychospiritual recovery from trauma and addiction, and published four previous books and a host of articles on spiritual growth. The Natural Soul, her most recent offering, pulls together her life’s work into an insightful and practical guide to living from our soul rather from our ego. 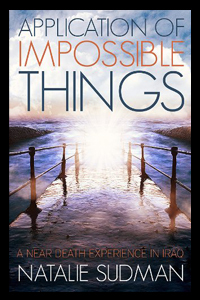 This book is not about an instantaneous spiritual transformation that occurred when Whitfield awoke from her NDE 35 years ago. It is rather about a gradual accumulation of insights, a spiritual journey that was initiated, in her case, by the NDE, but which evolved over decades. In this sense, the life review is far more than just a reassessment of life events. It is a lived encounter with the fact that we humans are all one, which puts the death of the individual in a very different light. Indeed, Whitfield showed how the life review can be a means of seeking (or creating) meaning in the problems and conflicts of life. In the Foreword to this book, her husband Charles Whitfield noted that this act of “making meaning from our everyday experiences and conflicts” is an important part of soul work that enables us “to rise above the limited and often painful episodes of our life” (p. ix). 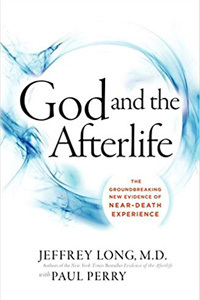 But although Whitfield made good use of NDEs as an exemplar of spiritual interactions, her message extends far beyond NDEs — in fact, far beyond mystical experiences in general — to encompass how we negotiate our daily lives. So much has been written and said about the soul. In this book, we are shown the soul. Whitfield illustrated how to live from our soul and relate to the souls of others. The central concept that pervades this entire book is the differentiation between the voice and traits of the soul — who we really are — and of the ego — the character we play in our daily drama. If the soul is who we really are, then where does the ego come from and why do we adopt it as our identity? Whitfield wrote that the soul constructs the ego as an executive assistant to help it live out this human experience: balancing the checkbook, keeping us on time for appointments, and negotiating our way through the physical world. However, when the ego takes over and controls our lives, we tend to forget who we really are. Because the ego is a construct created to negotiate our way through the physical world, it is no longer needed and dissolves when the body dies. If we make the mistake of thinking we are our egos, then we make the mistake of believing that we dissolve when we die. Whitfield suggested a simple test to tell if you are living from your ego or from your soul, your true self: Notice what happens when you relax into “doing nothing.” If you feel bored and restless, that is your ego complaining because, when you are not engaged with the physical world, it has nothing to do. On the other hand, if you have a quiet feeling of peaceful being deep within you, that is your “true self” just being. Whitfield pointed out that linear time is a construct of our intellect that moves us to living on a horizontal line. With natural spirituality, we experience time in a vertical fashion and live in the eternal now. We still meet our appointments on time, but our perception of time changes to give us a peaceful experience whereby we can focus on the task at hand and be totally present with it. Whitfield wrote that the real love of our life is our own sacred person (of which our soul is one part), and that no other can make us whole or make us feel loved. We do that for our self in relationship with our higher power. This is “true love.” In putting into words what our egos struggle to understand (but what our souls innately know), Whitfield suggested that both science and religion miss the boat in explaining what life is about. Science tries to analyze, and religion tries to codify, truths that seem so arcane to the ego, but that come naturally, requiring neither analysis nor codification, to the soul. Whitfield punctuated her book with a series of “aha’s” as she gradually learned these truths. If my experience is at all typical of other readers, we will all experience a series of “aha’s” as we follow her journey through these pages. Because that journey ranges over more territory than I can cover in a short review, I’m going to focus, for illustrative purposes, on three such “aha’s” that most intrigued me as a psychiatrist and near-death researcher: those related to grief, child-rearing, and death. In discussing our tendency to live as egos rather than as souls, Whitfield tackled head-on the spiritual malaise that is endemic to our materialistic society. She pointed out that labeling our grief as “depression” can make it harder for us to move through it to resolution. We medicalize a normal human experience, numb ourselves with pills to distract our attention from our feelings, and reinforce our sense of being victims stuck in a painful situation. In grief, even though we may be overcome with sadness, we eventually move through it and make meaning out of our loss. By contrast, in depression, we are numb and do not move through the feeling. If we mislabel grief as depression and try to “treat” it with drugs, we interrupt our grief work until we stop the drugs and allow ourselves to feel the pain…. Whitfield quoted from the introduction to A Course in Miracles (1975): “What is real cannot be threatened/What is unreal does not exist./Herein lies the peace of God.” She wrote that if all that is real is God’s world, the world of the soul, then the ego and its world are not real and, therefore, do not exist. When we make this differentiation between identifying with our true self and our false self, we learn the way to peace and serenity. However, people today have become distracted by materialism and have fallen asleep to the real world of the soul. They often wake up to their true identity and realize that they are not just their body as they about to die. At that point, they experience a sense of joy at the knowledge that the dying body is going to drop away, that suffering and death are happening to the body, not to them. When we recognize this, we can release our clinging to our false self. Whitfield adopted Aldous Huxley’s analogy from The Doors of Perception (1954) of the brain as a reducing valve, allowing the flood of too much reality to flow in a gentle stream so we can handle it without exploding. Helping someone die is usually as close as we get to the reality that is beyond our ego’s ability to perceive; we do that by allowing ourselves to experience death with openness and without ego. Allowing ourselves to feel vulnerable is not bad once we recognize that we won’t be destroyed, but that it is only the ego that is destroyed, while we evolve and grow. Whitfield explained that the reason people on their deathbeds see deceased relatives, and the reason she knows that no one dies alone, is that our separateness from each other is an illusion of the ego. We are our souls when we die, just as we were when we were born. To be our soul again is what we yearn for now: The divine existence we seek after death is not some place in another dimension but is who we experience ourselves as in that dimension. Whitfield wrote that when she hears that ego voice in her head worrying that she is not qualified to help someone die, she turns the task over to the universe and asks for help to get her ego out of the way. 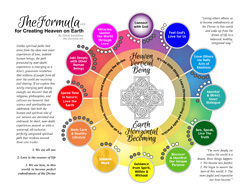 The secret here, as elsewhere, is to relinquish control over this unpredictable process and to allow the spiritual agenda to orchestrate the transition. The style of writing in The Natural Soul is clear and very accessible, just as it is in all of Whitfield’s books. And, just as in all her previous books, this one pushes the reader a bit further than the last one did. Whitfield reminds us why NDEs are important phenomena. What I have not conveyed in this review of the major concepts in this book are the personal examples with which Whitfield illustrated these concepts. The Natural Soul overflows with intimate vignettes that bring the ideas alive. Toward the end the book, Whitfield wrote that she has come to regard synchronicities, those meaningful coincidences that crop up in our lives, as “cosmic postcards” that remind us there is more going on than our egos are willing to believe. Her advice, when we receive one of these momentary flashes of insight into the universe, is to “smile, say a quick ‘thank you’ and go on.” I have come to regard this book as a postcard from Whitfield’s soul to ours, and my advice is to read it, say “thank you,” and put it into practice.